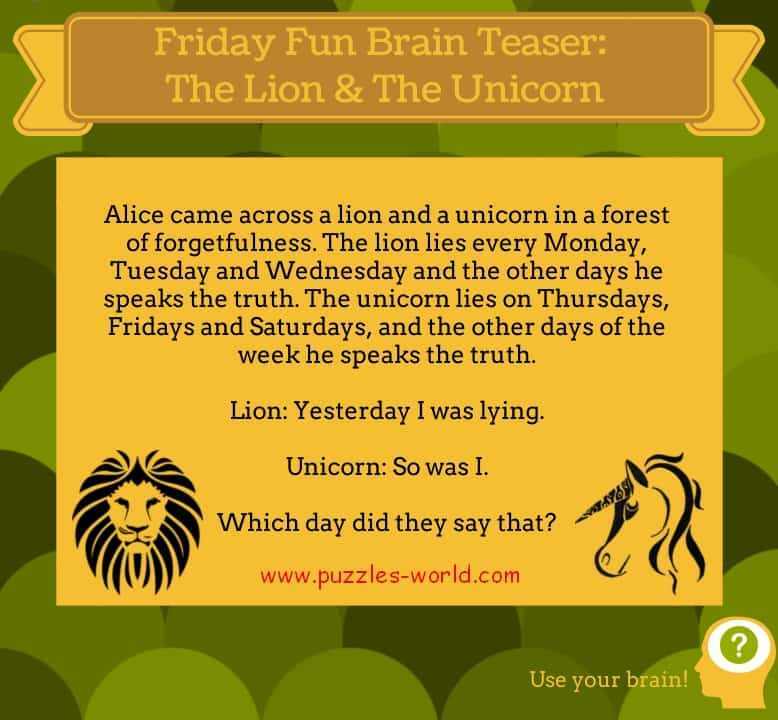 Alice came across a lion and a unicorn in a forest of forgetfulness. and the other days he speaks the truth. and the other days of the week he speaks the truth. Lion : Yesterday I was lying. Unicorn : So was I. Which day did they say that ? at least one of them must have spoken the truth. They both speak the truth only on Sunday. So it couldn't be said on Sunday. So exactly one of them lied. But previously we proved this wrong. 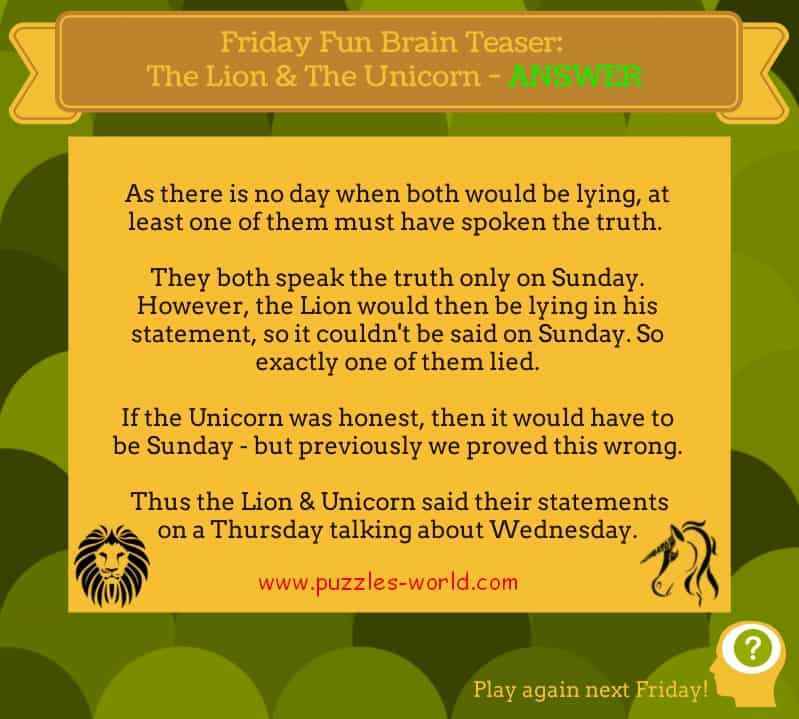 Thus the Lion & Unicorn said their statements on a Thursday talking about Wednesday.